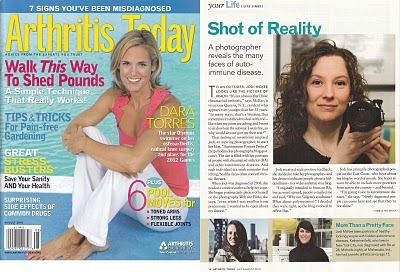 last fall, the editor in chief of arthritis today magazine contacted me about my portrait project. a few months later, i was interviewed about the project, and now, here it is in print! crazy exciting. and now, i'm able to cross #11 off of the list!